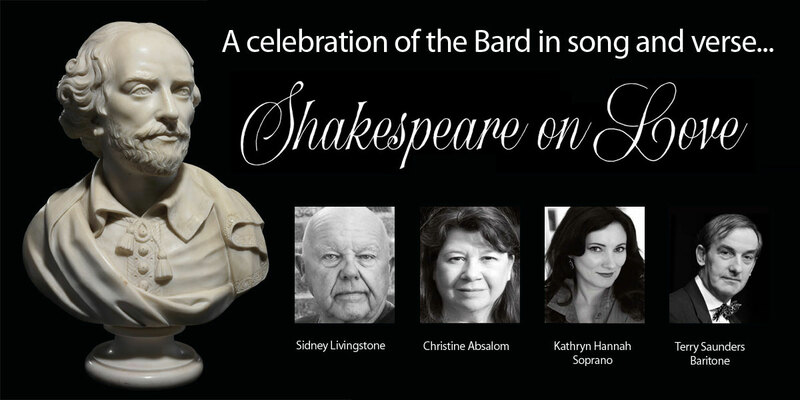 Join these four accomplished artistes for a light-hearted journey through some of the joys, tribulations and sorrows of love, from the pen of William Shakespeare. Plus some musical contributions inspired by his works, including “West Side Story,” “Kiss Me Kate” and others. A light buffet will be served in the interval.